The 2017 Grant Schoen Beginners Tournament was a great success. We were able to honor the memory of Grant Schoen and raise awareness for HeartSafe Wisconsin. At the same time, we gave over 200 beginner wrestlers the chance to experience live wrestling in a tournament, some for the first time. This was a learning event for many. Once wrestlers completed wrestling for the day, they received a silicone finisher’s wristband and an ice cream treat, from Cedar Crest. 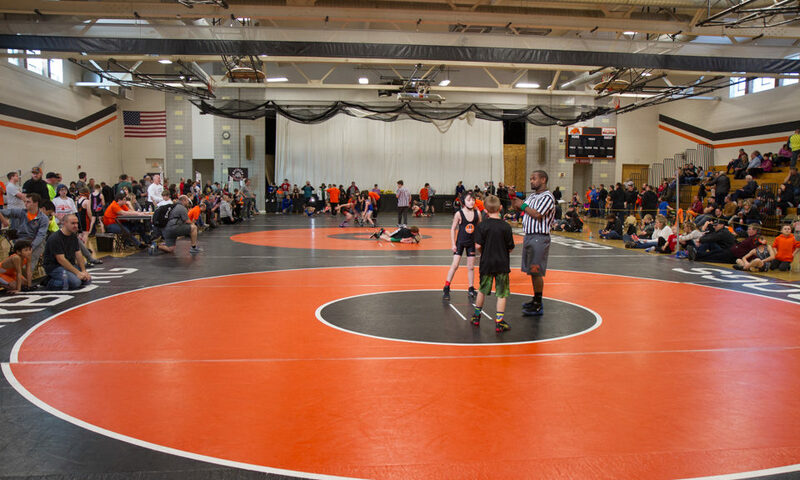 A special thanks goes out to the Cedarburg High School wrestling coach, Getasew Shumet and his team for helping set up, take down and work the event. Also, thank you to Mason Baumgartner, a coach at Askren Wrestling Academy and current CUW student, for coming out and running a warm-up clinic with the wrestlers. Laura Kubichka did an awesome job taking a lead on concessions. Thanks also goes out to Tammy and Jeff Schoen, all the Matdog coaches and families (both past and present) and all the other volunteers that made this event successful. Of course thanks goes out to all the wrestlers and their families for coming out and supporting the sport of wrestling!